“Jimmy and Johnny had a song called “If You Don’t Somebody Else Will”. It was Jimmy Lee and Country Johnny Mathis, and they were tremendous entertainers. They were the only one, and as a matter of fact I was booking (them) at the time and I had got them on Chess Records. 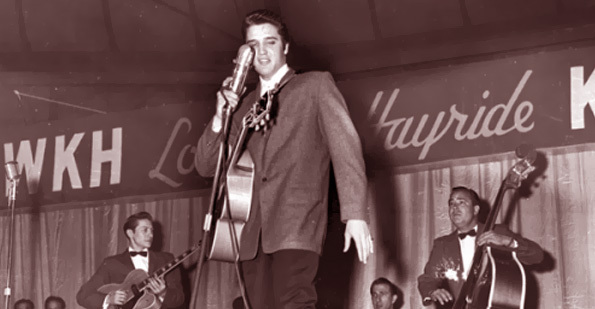 This entry was posted in Elvis, Stories and tagged Elvis, The Louisiana Hayride on October 31, 2014 by John Mathis Jr.